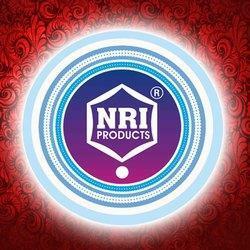 Established in the year 1965, Nilesh Ribbon Industries is a professional manufacturer of Ribbons, we are renowned names engaged in manufacturing, supplying, wholesaling, distributing, trading and exporting a wide assortment of Ribbons and Laces. Our product range encompasses Satin Ribbon, Velvet Ribbon, Fancy Velvet Ribbon, Coloured Velvet Ribbon and Metallic Ribbon. Apart from these, we offer Decorative Lace, Designer Ribbon, Linen Ribbon, Fancy Ribbon, Polyester Satin Ribbon and Satin Ribbon. The entire range of these accessories finds extensive application in various garment and fashion industries. We have a well-established infrastructural unit that spread over a wide area. Our infrastructure includes functional departments such as procurement, designing, quality-control, research & development, warehousing & packaging and transport & logistics. Installed with modern tools and machinery, this infrastructural unit helps us to meet the exact needs of our clients within time-frame. These products are stringently checked on well-defined quality parameters by our quality experts in order to ensure their quality. All our ribbon material is AZO free and attained OEKO-TEX® Standard 100, meet the standard of environment protection with high quality, good shape, fine texture, high fastness, competitive price and prompt delivery, shine ribbon is well recognized in ribbon industry. These products are widely acclaimed for their features such as durability, colorfastness, elegant designs, fine finish and premium quality. With the guidance of Mr. Manoj Jariwala our team, ethical business practices and infrastructure have helped us gain much trust and credibility of our clients. Made using excellent raw material, all our products are approved for their quality by our professionals as these are in compliance with internationally accepted norms and standards. Furthermore, while keeping client satisfaction foremost in our mind, we also provide complete customization for our products at most economical prices. We produce a wide variety of ribbons which are perfect for Christmas decorations, floral designs, apparel accessories, crafts & gifts,cosmetics, food packaging and many more. We have worldwide customers based in USA, Europe, Central & South America, Asia, etc. We are one of the leading manufacturers, suppliers, distributors, traders, wholesalers and exporters of a high quality range of Ribbons and Laces. Our product range encompasses Satin Ribbon, Velvet Ribbon, Fancy Velvet Ribbon, Colored Velvet Ribbon and Metallic Ribbon. Apart from these, we offer Decorative Lace, Designer Ribbon, Linen Ribbon, Fancy Ribbon, Polyester Satin Ribbon and Satin Ribbon. These garment accessories are designed using high-grade threads and colored fabrics, which are procured from the certified vendors of the market. Our entire range is globally appreciated for its shiny look, graceful appeal, attractive colors and intricate patterns. Moreover, we also offer customization solutions to our clients in accordance with their specific needs and preferences at cost-effective prices. We understand that the success of an organization depends on its team, thus, we have recruited a team of highly qualified and diligent professionals. All of these experienced professionals are experts in their respective areas of specialization. Our employees work in coordination with each other and carry out their duties with utmost efficiency. They are fully committed towards providing quality products to the clients, therefore, keep a check on all activities of production. To match to the varying sense of fashion, style and taste of our valued clients, we have adopted the facility of customization. Our entire product range is open for modifications and alterations in the best possible manner, which suits the garments. Using various laces or frills, ribbons or cords, we custom-design our range in tandem with the specifications detailed by our clients. Our ability to meet the individual requirements of our clients have enhanced our market value and thus, given us a competitive advantage. our products are used in saree, dress, dupatta, sandles, uppers, kurti, baby garments, nightwear, underwear, garment, shirts, t-shirts, embroidery, hand embroidery, decoration, gift packing, box packing etc. Since inception, we have direct all our efforts towards a superior quality products and thus emerged as a strongest contenders in the business of offering Ribbons and Laces. Owing to the excellence of our products and the attainment of high level of client satisfaction, we have been able to become a preferred choice amongst our clients.